Dragonair – an airport from Hong Kong conducted a survey of best airports with best services among 96 airports they cooperate with. And the result is Da Nang International Airport (Da Nang City) was ranked as 3rd in the list. According to the survey, Dragonair sought the opinions from their passengers about service quality at the airport, including the staff’s serving, the scenery, infrastructure, foods and drink service, etc. They also asked the flight crews about the quality of airplanes and other services on the planes. 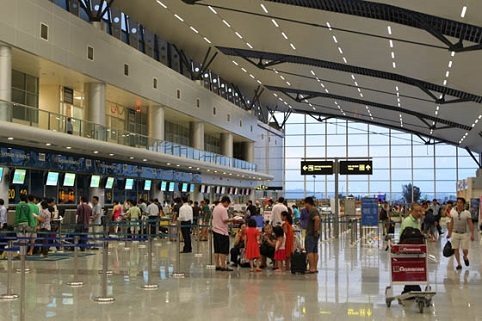 As the result, Da Nang International Airport was ranked as 3rd in all over the world with its great services and well-attitude staff. Even though the airport is not the biggest, most modern one, but they always listen to the feedbacks of the passengers to improve their services and bring the best as they can to serve travelers. The Da Nang International Airport is the third busiest airport in Vietnam. It is an important transport hub in the central region. The airport is located 2 km from the city center. A lot of national and international airlines operate daily flights in the airport from Hanoi, Ho Chi Minh City, Nha Trang, Vinh as well as Singapore, Seoul, South Korea and Kuala Lumpur, Malaysia.